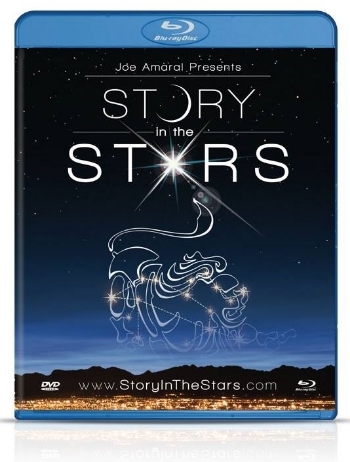 (TORONTO, Ontario) — From bestselling author and award-winning filmmaker, Joe Amaral, comes the new documentary, Story in the Stars, to be released on March 2nd in a Blu-ray/DVD/Digital Copy combo pack. Since the beginning of time man has wondered, whats up there, who put it there and why. After an intense dream during the cold Canadian winter of 2012, Amaral decided to look up the images he had seen: a woman in the heavens, a looming dragon and millions of stars. After years of careful study and analysis, Amaral reached the conclusion that each of the twelve zodiacs were created and positioned by God to tell the greatest story ever told, and He wrote it in the stars. Story in the Stars uses biblical, historical and scientific knowledge to reveal how each constellation actually points us back to Jesus, and that the message of salvation is written in the stars for all of mankind to see. This is presented in a way that Amaral believes is not only eye-opening for Christians, but also for people who need to be free from the ties of horoscopes and astrology. Joe Amaral is a pastor and itinerant teacher who travels and speaks internationally, teaching on the Hebraic Roots of Christianity for over 12 years. He has his own syndicated television program (First Century Foundations) and is the best-selling author of Understanding Jesus and What Would Jesus Read, both from FaithWords. Amaral has produced several teaching series and documentaries, and his latest project, Story in the Stars, combines his love of astronomy with his faith in new and thought-provoking ways. Amaral is available to speak at churches and events. “Taken 3” Unrated Cut Arrives on Digital HD April 2, Blu-ray and DVD April 21!